Another weekend gone and now it’s Tuesday. Already. 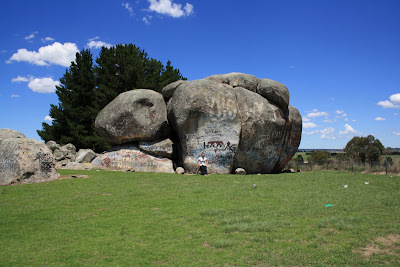 As far as mine went, the weekend was quite uneventful especially if we are going to discuss social interaction, which I can tell you we aren’t. So for all the nerds and crafters out there (maybe even Nerd-Crafters), I want you to know – I’ve done it! 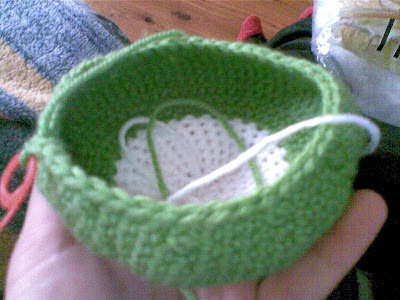 Something in my brain has finally clicked in to the right place and I can follow an Amigurumi pattern. Below is a picture of my very first Amigurumi creation. Don’t be to harsh with your judgment – he is my first. I’m sure you’ve all made terrible firsts before. So be nice, you don’t want to hurt his little mushroom feelings now do you? 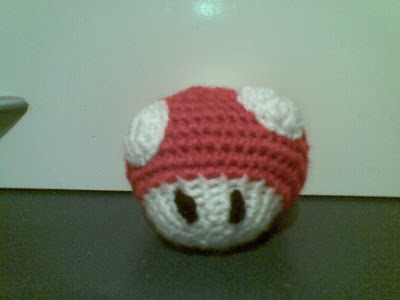 As you can see it is a Super Mushroom from Super Mario Bros. If you like him you can get the pattern from this website HERE! 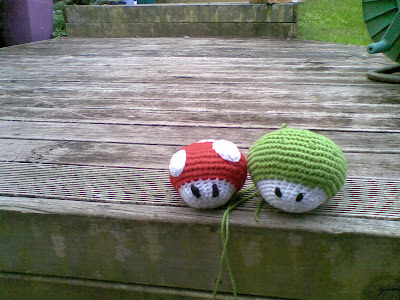 Not only does this ladies site have easy beginner patterns like this one, she has full patterns to make an actual Mario and a Luigi and heaps more fun things. She even has 10 or more Pokemon for you to choose from. As a first timer there were parts of this pattern that didn’t make sense but if you look up what all the abbreviations mean in a how to crochet book or online you should be able to work it out. Also there are plenty of crochet tutorials and blogs out there that a very helpful to beginners like myself. 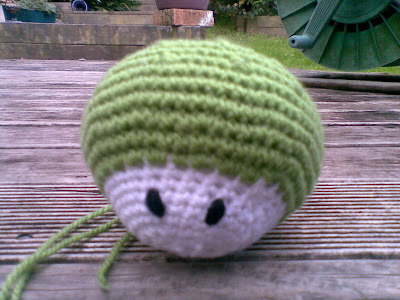 The red mushroom above was unfortunately stuffed with old plastic bags because I was too excited to wait to go to the shop and get some stuffing, but this green one is properly stuffed and looks a lot nicer because I looked at some tutorials and learned how to do decreases properly. This easy tutorial is quite helpful. So after a day or so, I went and got some stuffing. He’s not entirely finished because he needs his spots. But that doesn’t mean they can’t be friends. He’s not really the right shade of green either, but it’s all I had. As you can see the properly stuffed one looks HUGE, compared to the poorly stuffed with plastic bags one. Enough of those. Some books from this week. As far as reading goes this month it has been very tough indeed. 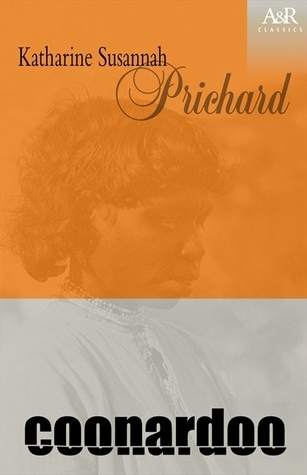 I literally trudged my way through the first 5 chapters of a novel named Coonardoo for TAFE. It was so excruciatingly slow. I had to read the first 5 chapters twice because my brain just kept dying and not retaining anything. I finally got past them and the ‘crappest*’ book ever turned into a half decent read. Pretty tragic story actually. Within two days of reading that and I decided I was ready to choose something I actually wanted to read. It was Scarlett Fever, Maureen Johnson’s sequel to Suite Scarlett. It was a fun quick read, too bad it ended so soon. Damned Johnson and her cliff-hanger ending! I anticipate the third. Now I really should do my homework. *This is a direct quote from another student in my class. Not my opinion. But I have way too many assignments. People consuming my free time.